I've owned this very simple phone for two years without any problems. I like the form factor, voice quality, ruggedness, battery life. It's pretty light on features but it has everything I want so I'm very happy. Phone is really good,but I wish there will be 10mb and normal headphones jack. 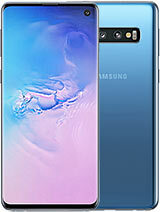 If you want to buy this phone better look for Samsung. You will get much better specifications !!! i have a nokia 6030. my phone is not charging. when i connect the phone with charger it shows not charging..
mekie, 05 Oct 2008i locked my phone and cant get in for nothing in the world. can u help me reset my phone?I have this same phone. I lock mine as I like to carry it in my pocket so the buttons are not activated accidently. You should be able to unlock yours by pressing the center "Menu" then qickly after press the astric/plus * + ---- button located bottom left. Its a funky phone which i hav used it would be beter if it had a infrared. Other than that it doesnt have any mistakes. And there is a radio and the headset ha s very good sound. I recomend all to buy that phone. i locked my phone and cant get in for nothing in the world. can u help me reset my phone? Anonymous, 09 Jul 2008how to retreive musicYou have to buy a Nokia 6030 headset from Ebay or Amazon to use the radio. Go to menu and select Tools, then select radio. Anonymous, 13 Sep 2008i m nt able to charge my phone. when ever i try to charge it doesn't charge and d error msg is... moreTry using a charger with a power indicator or rather a different one altogether. lastly you can use a sharp object to clear objects which may be logged in the charger-phone connection interface. Really best.i use it more than 2 yrs.but it has no problem.good features. keypads are excellent. although the center part is kinda hard. but its perfect. I m using Nokia 6030 for about 1 and 1/2 yrs.i hav rarely made and recieved calls from this phone.the total call duration is only 52 hours but i have used gprs more than 282 hrs.and untill now,not a single problem occured on this phone.indeed its a great and long lasting phone.But there is a little bit problem that the themes i downloaded to my phone are not custommizing to the menu icon's background,it still remains white.if someone has sollution to this then plz write it to kaish.188@rediffmail.com.,and also send me the modem settings.thanks in advanced.